Lt. Daniel B. Lasher began his career in corrections in 1990, with the Allegany County Sheriff’s Office. He was hired as a Correctional Officer within the detention center and remained there until 1995 when he was awarded a position within the Alternative Sentencing Division as a Supervisor. He was tasked with the development, implementation and operation of a Community Service Work Program. The program was highly successful and earned his division numerous accolades. In the year 2000, he was promoted to the rank of Lieutenant and given the task of co-managing the transition from an old to new correctional facility. A two year process of supervising a team, which encompassed developing policies, strategies, procedures and scenarios to open a new detention center. The team was further tasked with training all new and existing staff for direct supervision operations. After opening the new facility, he was given the title of Director of Security. He remained in that position until 2013 when he was made the Director of Operations. 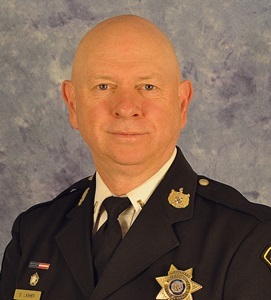 He has attended Frostburg State University, Allegany College of Maryland, The National Institute of Corrections, and numerous specialty training’s during his tenure with Allegany County. He is a life member of the Cresaptown Volunteer Fire Department where his love of Public Service was born.